Consumers Energy is calling on gas customers to do their part to lower natural gas usage after a fire at a suburban Detroit gas compressor station. Patti Poppe,President and CEO of Consumers Energy posed a video asking customers to voluntarily lower their thermostat to 65 degrees or lower. 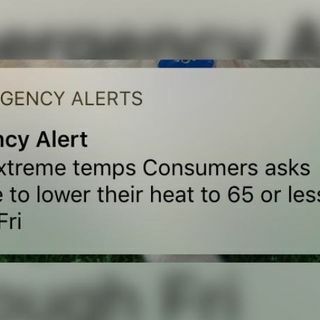 Governor Gretchen Whitmer held a press conference Wednesday night also asking Michiganders to lower their thermostats to ensure their is enough energy for everyone. The fire occurred at Ray Natural Gas ... Más informaciones Compressor Station in Macomb County. Consumers says no one was injured in the fire and it is currently under investigation.